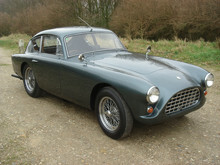 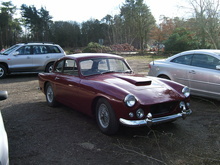 In 1956 the AC Aceca became available with the 2 litre Bristol engine also used in the open AC Ace model. 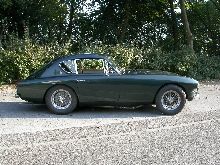 The Aceca made good use of the extra power afforded by the 1971cc Bristol six cylinder. 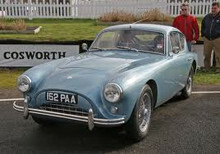 From 1957 front disc brakes became standard equipment (again, these were available on the open Ace), an overdrive gearbox could also be fitted and became a popular option. 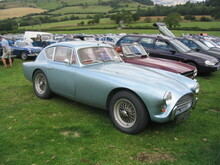 The Aceca-Bristol remained in production until 1963, by which time 169 cars had been built. 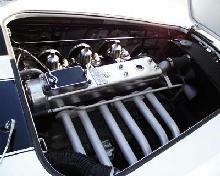 7' 6" 0' 0" 0' 0" 12' 9" 4' 11" 0 (0) 0' 0"